I noticed an interesting blurb on the Chronicle of Higher Education today: Professors Shore Up Wikipedia Entries on Public Policy. The short article explains how a small group of professors are working with Wikipedia experts to contribute high-quality content to the famous open-access encyclopedia. The article points out that professors are incorporating the writing and editing of Wiki articles into their course expectations. Although many (if not most) educators ignore Wikipedia in the classroom, there is a legitimate pedagogical advantage to a more direct approach. As one of the participating professors explained: “It truly tests [students’] ability to argue complex issues articulately in the public domain, as well teaching them how to be critical consumers of information.” But perhaps the most interesting part of the article is that the Wikimedia Foundation is actively supporting and facilitating course integration. Although skepticism of Wikipedia continues to run high, few can doubt its overwhelming public presence. Not only is it driving other, more traditional, encyclopedias out of business, it is often among the top three sources of information on any topic in a standard Google search. Four years ago, the late Roy Rosenzweig published a brilliant article in the Journal of American History, which posed the question: Can History be Open Source? 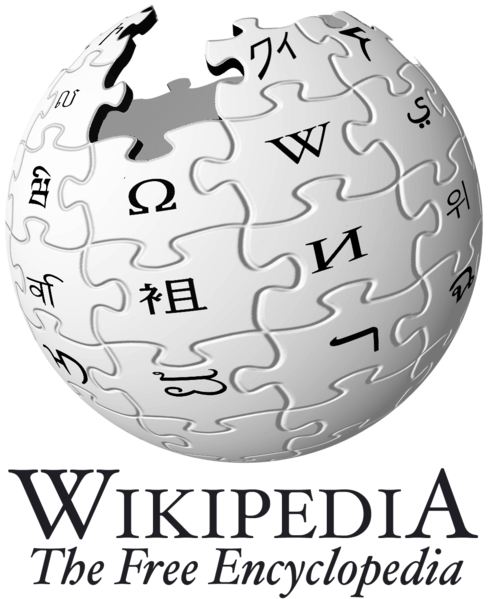 Rosenzweig highlighted the occasional analytical failures and lopsided coverage of Wikipedia – a byproduct of its voluntarist construction – but also pointed to its tremendous benefits for research and teaching. And I think Rosenzweig and his followers are correct to call for greater interaction and engagement with Wiki-style projects rather than pious denouncement (an all-too-common knee-jerk reaction from established academics). Around the same time as Rosenzweig’s article, philosopher (and Wikipedia co-founder) Larry Sanger launched Citizendium, a more closed, peer-reviewed encyclopedia that has struggled to keep up with its big brother. This new Wikipedia-Academia partnership might be a good compromise between the two systems. Scholarly, professional input could supplement and augment existing material while not shutting out the hordes of amateur enthusiasts who have made the open-source encyclopedia such a popular success. Whatever the case, it is clear that the Wiki is here to stay. It is not difficult to imagine a Wiki article given the same (or even more) weight as a standard reference entry by the hiring and tenure committees of the future. And, certainly, it will continue to play a role in classroom environments, whether we want it to or not. Blogging has become a popular activity for historians and other scholars in recent years. Numerous historians publish personal or group blogs that comment on their work and current trends in the field. Many are both eloquent and entertaining, while some combine analysis, erudition, and creative insight to rival the best “traditional” scholarly work. The History News Network maintains a group blog, called Cliopatria, which aggregates some of the best of recent digital content. 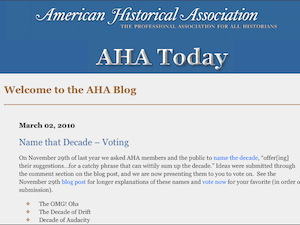 But I’d like to draw special attention to the official blog of the American Historical Association (AHA). As the oldest and largest association of professional historians in the country, the AHA needs no detailed introduction here. For well over a century, the AHA has been a constantly looming presence within the profession. But some might be surprised to learn that its official blog is one of its most lively and informative publications. Entries survey the latest digital trends and articles, summarize AHA professional activities, and advertise fellowship and grant opportunities. Recent posts also take detailed looks at digital resources for subjects like medical history and oral history and offer introductions to major physical archives and repositories. An interesting post from earlier this year, for example, introduces readers to the Special Collections division of the National Agricultural Library. But don’t take my word for it. Click over and explore this gateway to a vast and verdant world of digital history. Cohen devotes most of his analysis to the controversial Google Books project. Although seen as a tremendous boon by most researchers in the humanities, the project is far from perfect. In a popular article published in the Chronicle of Higher Education last year, linguist Geoffrey Nunberg argues that Google’s database is not yet the omniscient text-mining tool of which many have been dreaming. Not only is the database incomplete, Nunberg points out, it is riddled with basic factual errors and misinformation. The full title of his article is Google’s Book Search: A Disaster for Scholars. At least one Google employee has written a forceful rejoinder to these charges. At the end of his piece, Cohen issues a call for historians to push Google in a better direction and for Google to study and adopt some of the strategies and methodologies used by historians. But the debate lingers. Is Cohen right about the stark rift between analog and digital modes of historical research? 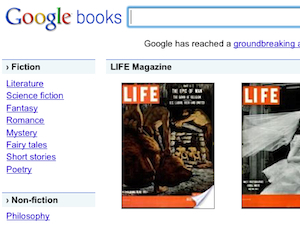 Do you use Google Books in your research and teaching? If so, how? UPDATE: I’ve just read a new article by Harvard Law Professor Lawrence Lessig on the recent Google Books settlement. Lessig argues that the terms of the agreement set the stage for “a catastrophic cultural mistake.” The prose is accessible, the argument is lucid, and the critique of the insanity that is current copyright law is frankly, brilliant. This article should be mandatory reading for anyone interested in a career in the humanities. 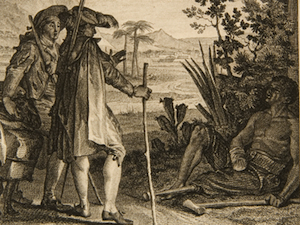 Another brilliant article on Google Books was published recently by the History News Network. Discussing the French reaction to Google’s project, the author reminds us that the idea of the “information marketplace” is a historical (and political) construction. In September, the Journal of American History published a special issue entitled: Abraham Lincoln at 200: History and Historiography. The overall quality of this issue is superb and its format is rather innovative for a mainstream academic journal (a hint of things to come?). 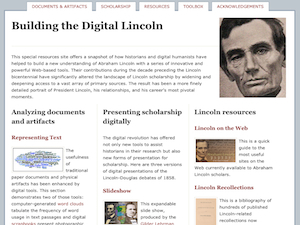 Perhaps the most fascinating aspect of this issue is an interpretive website called “Building the Digital Lincoln.” The site consists of a series of links to a wide swath of digital material related to Lincoln and his era. Even those who are not specialists in American history should take a careful look at this site. It is a prime example of the exciting new educational and methodological tools made possible by the digital revolution. “Building the Digital Lincoln” is divided into three major parts. “Documents & Artifacts” surveys innovative new ways of collecting, interpreting, and presenting primary source data – from word clouds and timelines to interactive maps and 3D models. “Scholarship” focuses on various ways of presenting historical analysis online. And “Lincoln Resources” provides an overview of the many websites and databases out there devoted to Lincoln studies. Of special interest is its sister site, the House Divided project, based at Dickinson College.